Thandiswa Mazwai is at risk of having some of her assets repossessed to settle the debt. 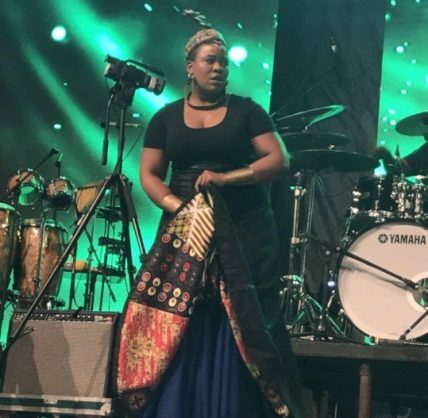 Songstress Thandiswa Mazwai has allegedly landed in hot water with the tax man, and has been ordered to pay a whopping R575 779. Sunday Sun reports that Thandiswa is being investigated by SARS for alleged tax invasion and that she is at the risk of legal action. The paper claims that SARS sent the musician a letter last year ordering her to settle the debt, or face legal action to have her assets repossessed to settle the amount. Thandiswa is not the first celebrity to land on the wrong side of the tax man. Last year Sunday World reported that Somizi allegedly owed the tax man a whopping R2.5 million. The tabloid claimed that Somizi landed on the tax man’s radar in 2014 after he “flaunted” his assets on social media and TV.